An effective isolation solution for installations where instrumentation is subjected to rugged environmental conditions. Operating temperature range is -20°F to +180°F (-30°C to +82°C). Resistant to oil, most solvents and ozone. Butyl and Barry LT available on special order where high damping and extended temperature performance characteristics are required. 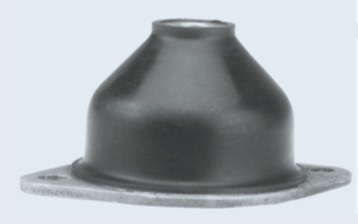 ME mounts help to isolate shock and vibration from this vehicle mounted laptop computer. 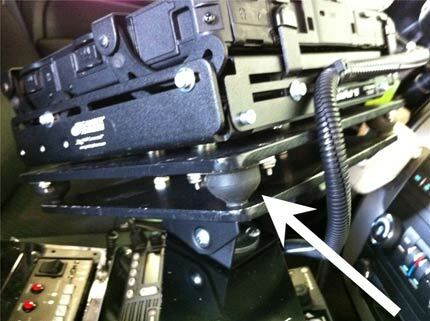 Note how the customer inverted the mounting face for ease of installation.